The Samsung SMT-1922 has been discontinued. No direct replacement is available. 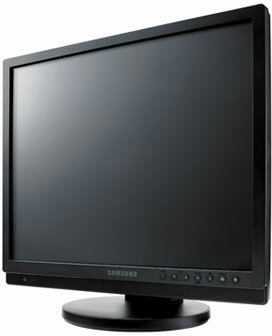 The SMT-1922 is a professional 19" TFT-LCD monitor. This monitor supports up to 1280 x 1024 resolution with a high contrast ratio of 1000: 1. The SMT-1922 has a fast response time of 5ms and 120Hz motion technology. This monitor comes equipped with tempered glass and an internal 100-240V AC power supply.